Paul Matadeen currently lives in Atlanta, Georgia working as an overall freelance journalist and freelance news editor for CNN. Before that, Paul was an associate producer for HLN's Jane Velez-Mitchell show & freelancer for HLN's News Now show where he innovated, planned & executed social media videos reaching tens of thousands of viewers! During the Jodi Arias & Trayvon Martin trials, Paul wrote & produced attention-grabbing packages and promos for the network's continuing coverage. Paul has worked as a local reporter in Panama City, Florida; Raleigh, North Carolina; & Las Vegas, Nevada. He's covered major breaking news events 'on the ground' including the Deepwater Horizon Disaster off the coast of Louisiana and the first Fort Hood massacre. Click on the above job titles to view Paul's professional portfolio. 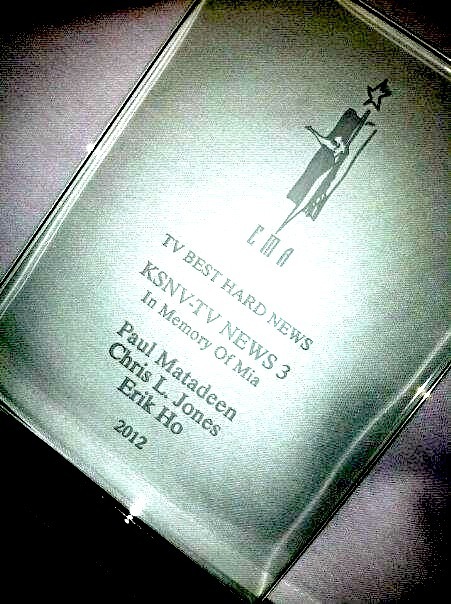 Paul Matadeen's story 'In Memory of Mia' won the Nevada Broadcasters Association's 2012 Electronic Media Award for best hard news coverage. In 2007, his coverage of a tornado's aftermath in Apalachicola, FL earned first place recognition for spot news coverage by the region's Associated Press.